"Olivia's sad, solitary life in Seattle comes dangerously close to ending one fateful night, if not for a neighbor saving her in the nick of time. Curious about her mysterious rescuer, she seeks him out in hope of getting some answers, but instead finds something she never thought she'd have again." I really enjoyed this book and the beautiful love story that it developed. 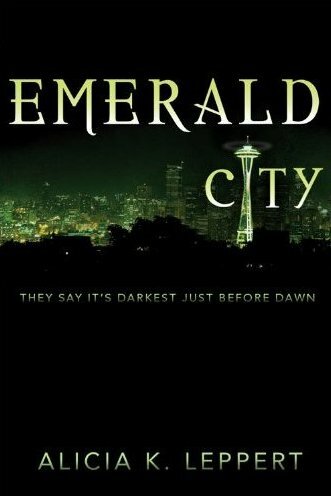 Emerald City begins in a very dark place, with the main character Olivia struggling to live, barely able to function. But amidst the darkest point of her life, a light enters and saves her in every sense of the word, giving her a reason and the will to become stronger. This love story develops so gently and so carefully making it believable and admirable. The story takes unexpected twists enticing the reader to continue on and discover more. Leppert reveals her talent in this debut novel by creating characters that we the reader can fall in love with, cheer on, and feel compassion for. I also really appreciate a love story that is clean and worthy of sharing with my teenage daughters. I love the idea of creating a music mix based on a book and asked Alicia if she had any songs in mind that would help readers get a sense of the book or to listen to as they read along. Today, I am sharing with you the mix that we created for Emerald City. I hope you enjoy it! 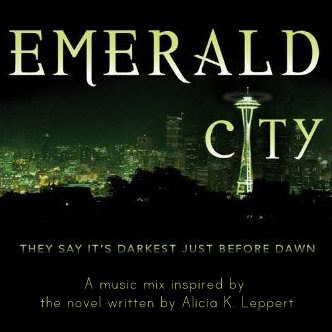 I hope you will add Emerald City to your list of MUST READ books, and when you sit down to read it, pull up this mix and listen along. Enjoy!